Side Dishes and Drinks Archives | Page 5 of 6 | Mexican Appetizers and More! Search through these delicious side dishes and drinks to find the perfect dish or beverage to serve with any meal. Want to have a Tamales Party with a few family and friends? Make these easy and hyper flavorful Mexican Beef Tamales. Or wondering what to serve with a perfectly seared rib eye steak? How about a pot of this refreshing Cilantro Lime Rice, Mexican Morisqueta or Puerto Rican Arroz Mamposteao ("Dirty Rice" and Beans) with a side of Garlic Tostones (Fried Garlic Tostones). Look around, I've got you covered! Your belly will thank you! This Avocado Margarita cocktail recipe is a revitalizing, refreshing and delicious drink. Ready for Cinco de Mayo or BBQ grill out, it’s perfect! Not everyone is about tequila and not everyone likes margaritas. But for those of us that do, an Avocado Margarita is quite refreshing. 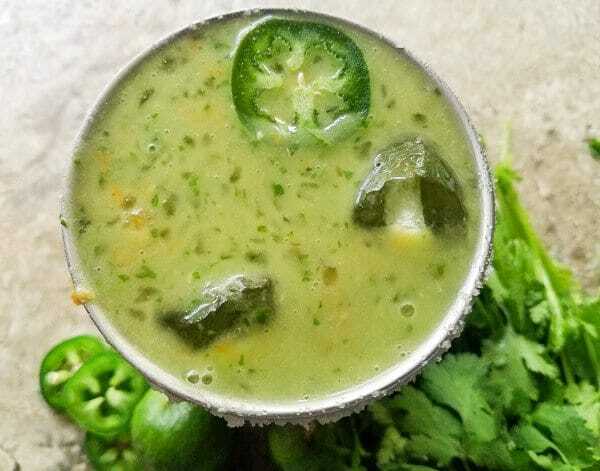 With Cinco de Mayo just a few days away, I wanted to share this delicious, refreshing concoction with you. So if you were wondering what drink to make this Cinco de Mayo, or simply wanted to add to your cocktail menu, here it is. Or maybe you just would like to try something new and quite different from all the other Cinco de mayo cocktails you have made in past celebrations. Whatever the case, you may just fall for this cooling and revitalizing drink…. 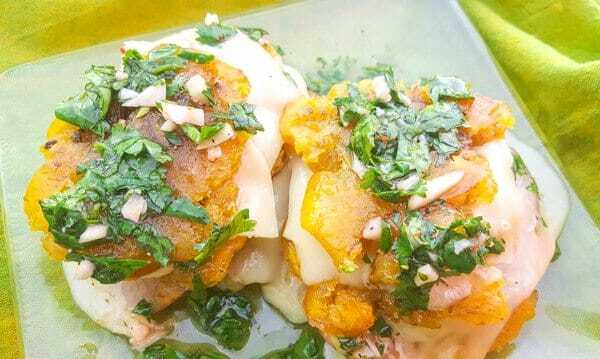 This Fried Plantains Recipe is a great little appetizer with deliciously melted pepper jack cheese and topped with a heavenly mojo sauce. If you have never had any plantain recipes whatsoever, then you’re in for a treat. This Fried Plantains Recipe, is a delightful little appetizer that you will truly enjoy time and time again…. 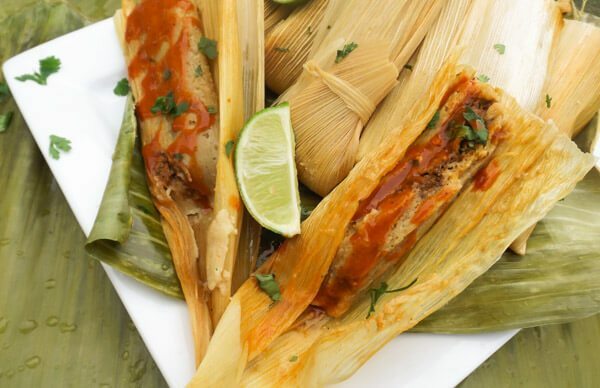 These Amazing Beef Mexican Tamales are exactly that, AMAZING! Made with a succulent beef mixture, surrounded by a fluffy, moist masa dough and topped with a red chile sauce or salsa verde. Absolutely delicious! A true Mexican staple and very easy to make! Easy to follow step by step guide with pictures. 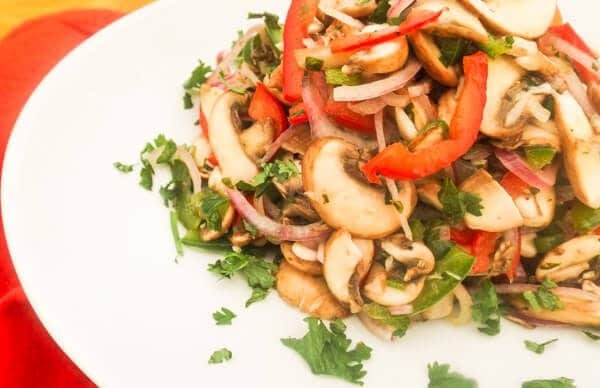 This Mushroom Ceviche, will become one of your favorite side dishes, snacks or appetizer. Made with crimini mushrooms, roasted garlic, red peppers, green peppers, jalapeños, cilantro and fresh lime juice. Absolutely excellent! So friends if you have followed me for a while now, then you know I make a lot of meat, chicken and seafood mexican appetizers but I also love to make vegetarian appetizers too! They are ohh so delish! But listen here, this vegetarian ceviche is not just for my vegetarian followers…. 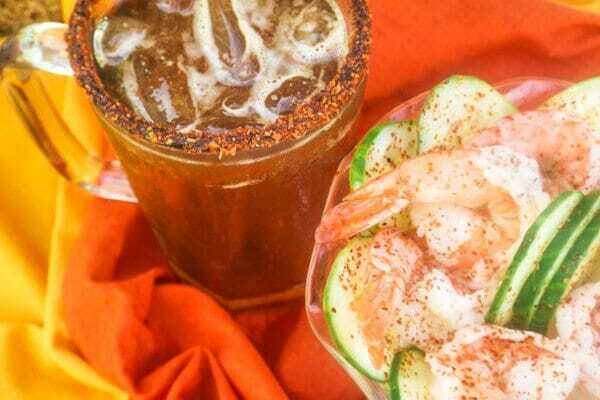 This Mexican Michelada (Beer Cocktail) recipe is so refreshing and so simple to make for a weekend cocktail change. Made with beer, lemon or lime, tajin, worcestershire sauce, maggi sauce and served with lots of ice. A truly refreshing drink. So you’re thinking of making a couple of drinks for Friday night company? Or having some friends over on a Saturday afternoon for a barbecue? Well why not make them a Mexican Michelada?